mowed & trimmed? Weed-free and ‘golf course green’? Relax and leave your lawn to the experts at Lawn Authority. Since 1981 Lawn Authority has proudly served homeowners and businesses in O’Fallon, St. Charles, St. Peters, Lake St. Louis and Wentzville, Missouri. We are here to help you achieve a spectacular emerald green turf that welcomes family, friends and neighbors to your home. Choose from individualized lawn services designed and performed by courteous and professional turf specialists without the hefty fees of the large, national chains. Lawn Authority Difference? Your community is our community. We work and live here. We know which seeds, fertilizers, irrigation solutions, cutting and trimming techniques work best in “Zone 5” – our area’s Plant Hardiness Zone as designated by the United States Department of Agriculture (USDA). For every season of your home … give your lawn the TLC it deserves from TLA—The Lawn Authority. 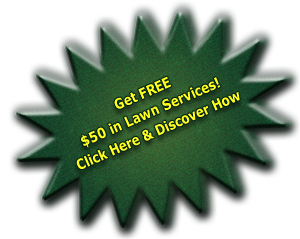 The authority for lawn services & programs, fertilizer programs, and lawn irrigation systems. FREE Estimate or call 636-928-5296.